The Patterson Ranch FSC was named for the historic Patterson house lost in the Union Fire. The PRFSC area is located south of Pleasant Valley Rd. 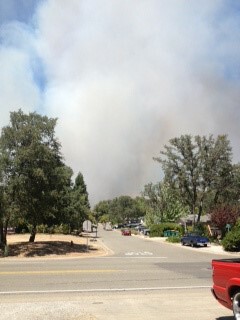 between Diamond Springs and El Dorado in the DS-ED Fire Protection District. By map count, the PRFSC contains approximately 890 parcels. The PRFSC became affiliated with EDCFSC as an Associated Council on August 25, 2015. Diamond Springs / El Dorado Fire Protection District Community Wildfire Protection Plan (CWPP-49). Attention directed to Pages 70-72, Roads & Evacuation Planning; Page 77, Table 9 – Treatments; and Page 79, Table 10 – Projects DS-1, DS-2, DS -4, & DS-8. 2014 Unit Strategic Fire Plan – CAL FIRE Amador-El Dorado Unit. Attention directed to Page 2, Executive Summary.